Just a couple of weeks ago, the entire world, or, well, at least most of the greater Cincinnati area, was covered in a cocoon of ice. The grass, the trees, the basketball nets, everything, was encased in coating of clear, sold water. I fear that’s as close to real wintery weather as we’re going to see this year. For the rest of the time, it’s been nothing but a lot of cold rain. Alas, I think I might have done enough complaining about that for one season already, though. So I’ll just give you pictures of it instead. Looks, kids! 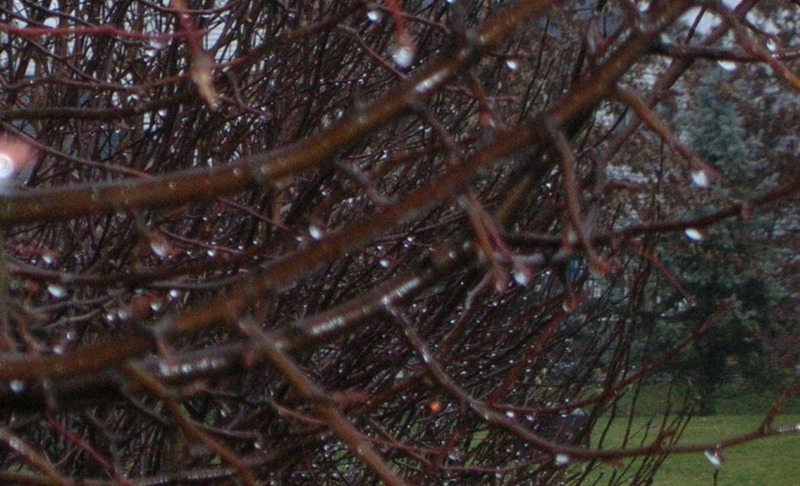 Drippy branches! 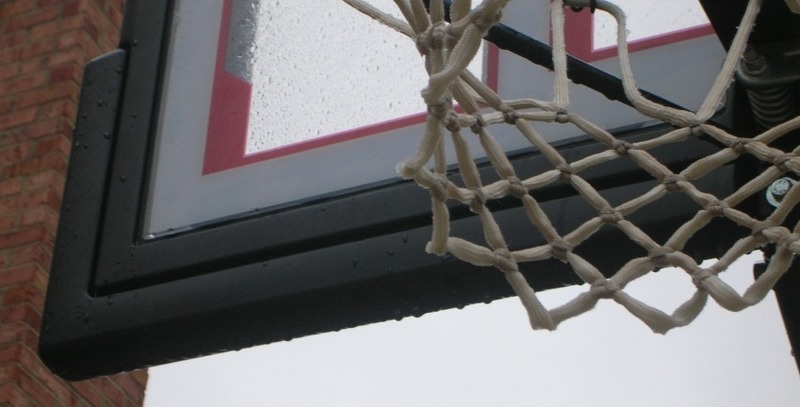 For some reason, I was struck by rain drops slowly falling off our basketball goal. At any rate, when I woke up this morning and realized it was another rainy winter day, I was thankful, at least, that the weather wouldn’t interfere with the Puddinpop’s basketball game. His team’d had two or three cancelled or postponed already this season, and he hates when he doesn’t get to play. Of course, sometimes he hates when he gets to play too. My oldest is many things, but tolerant of losing is not among them. And unfortunately, most of the kids on his team of 2nd and 3rd graders show about as much interest in the game as they do counting the ceiling lights in the gym…and they do both with equal conviction. Which means, as expected, after final buzzer, I was trying to help my son understand why losing 9 games in a row isn’t the end of the world. I was pretty convincing, but I’m not sure he bought the whole, “We’re here to have fun” argument. After the game, though, there was pizza for lunch. And no one can be upset about losing when there’s pizza. He’s only got one more game to play next Saturday. Here’s hoping it’ll be sunny, and that pizza isn’t a necessity.